We are all familiar with a single moonphase complication, but what about a double moonphase display? (Image Antti Rönkkö). When I was 18-years old, my main passion in life was painting and visiting art galleries. Literally, I did this all the time and spent hours meticulously examining works from contemporary artist and old masters. At that stage of my life, I gravitated more towards representational pieces rather than abstract compositions. Classical artists like Benvenuto Cellini (goldsmith, sculptor, painter) really appealed to me because they also specialized in portraiture. Ultimately, this legendary craftsman also inspired Rolex to launch a series of dress watches, including the Rolex Cellini moonphase ref. 50535. Normally Rolex is associated with durable and sporty looking watches, so the Cellini moonphase ref. 50535 is a slight departure. Nevertheless, it is spectacular looking timepiece with a wonderful classical appearance. On this particular model, the moonphase indication is positioned at 6 o’clock. This genre of watches is becoming increasingly popular because people (in general) are fascinated by the lunar cycle. Finnish watchmaker, Stepan Sarpaneva has made a career designing these type of timepieces, and one of his Finnish comrades, Antti Rönkkö has followed suit with the Icarus. 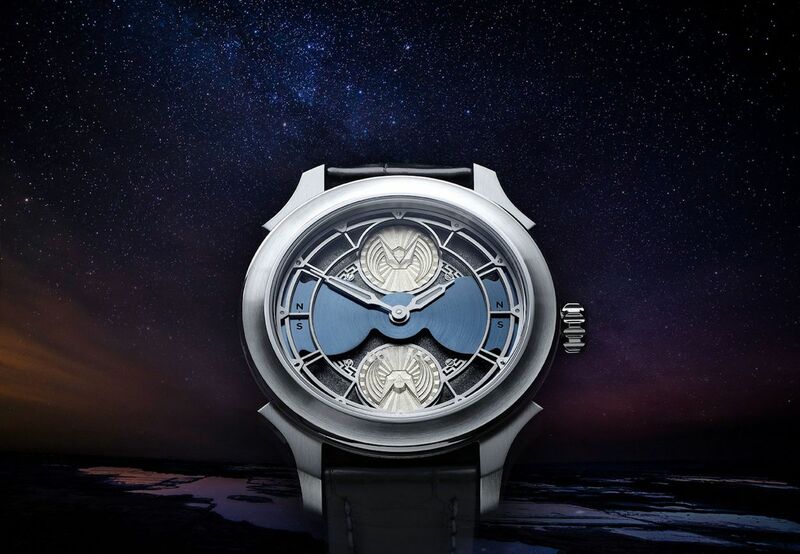 The ‘Icarus’ from Finnish watchmaker Antti Rönkkö (Image: Antti Rönkkö). The Rolex Cellini moonphase ref. 50535 has a traditional single-moon indication which tracks the phase of the moon in the wearer’s hemisphere. In contrast to the Cellini moonphase, the Icarus from Antti Rönkkö features a bi-hemispheric moon complication. This means, that the Icarus simultaneously displays the correct phase of the moon for both Northern and Southern hemispheres. While this may not be the most useful complication on a day-to-day basis, and certainly one of the more seldom-seen ones, a double moonphase display does lend itself to a rather remarkable and usual dial. 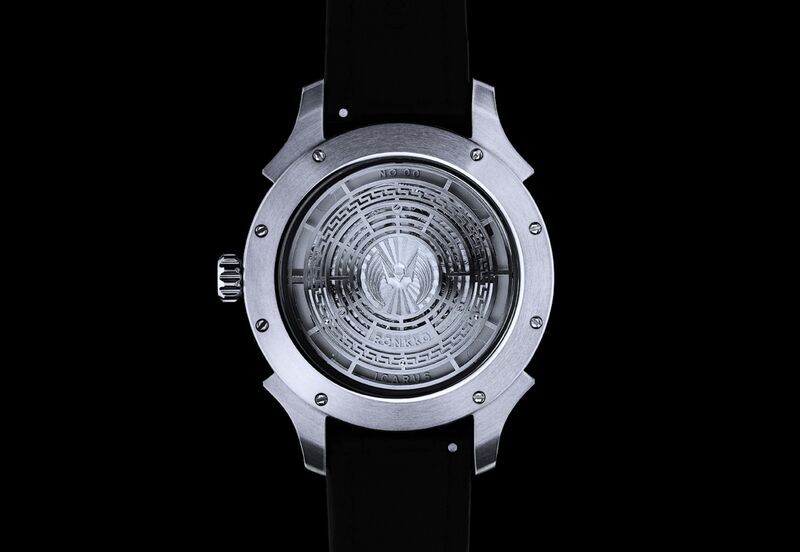 The Icarus has a much more contemporary appearance that what is usually synonymous of modern-day Finnish watchmaking. What makes the Icarus so special is its multi-layered architectural dial. Two 10.5mm Icarus moon talismans move anti-clockwise to represent both the Northern (top) and Southern (bottom) hemispheres. Other features include open-worked hour/minute hands, and the atelier’s signature crown. Overall, the composition is minimalistic but also extremely effective. It is also pertinent to mention the level of finishing and decoration is absolutely superlative. The Icarus displays the phase of the moon in both Northern and Southern hemispheres. How many other double moonphase watches can you name? (Image: Antti Rönkkö). Beneath the hand finished 42mm x 11.75mm brushed steel case lies a modified self-winding Soprod A10 movement. The caliber is comprised of 25-jewels and oscillates at a frequency of 28,800 vibrations per hour. 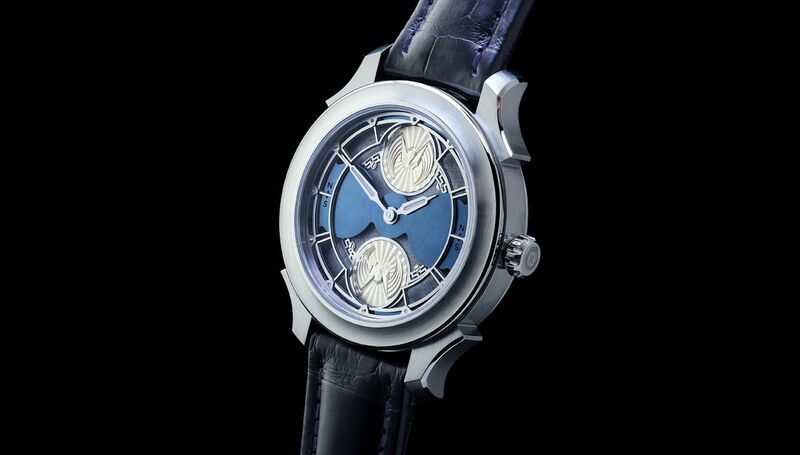 At the rear of the case (visible through a sapphire window) is a skeletonised structure, which gives the recipient a glimpse of the Icarus’s exquisite internal mechanism, while simultaneously providing the artwork of a traditional engraved caseback. Functionally, the Icarus features hour, minutes, and a bi-hemispheric moon indication. The watch also has a power reserve of 42-hours and is water resistant to a depth of 30 metres; however it should be noted that the meager water resistance is more of a formality, as the Icarus is certainly not a timepiece intended for aquatic use. As a final touch, the watch is presented on a matte black alligator strap with embossed (Rönkkö logo) stainless steel buckle. 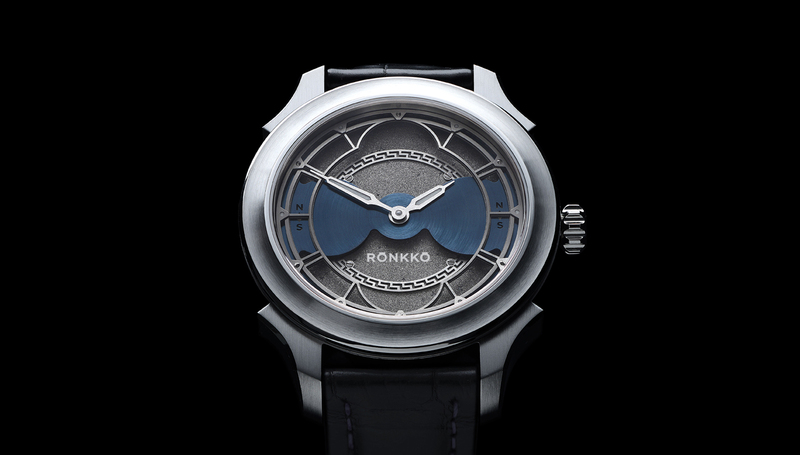 The Antti Rönkkö Icarus features an engraved skeletonized structure between its movement and sapphire caseback (Image: Antti Rönkkö). Steve Huyton, is a published author who has written several books about architecture, horology and luxury design. He also has produced articles for high profile magazines like Esquire and has a global design website called Total Design Reviews. Unlike many other writers, Steve is an industrial designer specialising in products like bespoke Swiss mechanical watches and custom made leather blazers. This gives him a unique insight into the whole creative process, which gives his editorials more integrity.